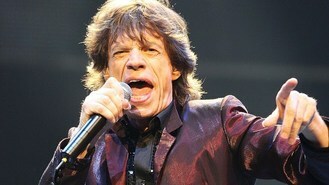 Rolling Stones frontman Sir Mick Jagger has admitted he finds his music career "intellectually undemanding" and said his original idea of becoming a teacher might have been a "gratifying" alternative. In an interview on BBC Radio 4's Today programme, the veteran rocker said he considered a career as a dancer but was put off by the prospect of "so many injuries". Jagger, who was still a student at the London School of Economics when the Stones were starting out, told John Humphrys: "A schoolteacher would have been very gratifying, I'm sure. "There are millions of things you would have loved to have done, a politician, a journalist... I thought of being a journalist once. "All these things you think of when you're a teenager, you can think, well, I would have liked to have done that but that's completely pointless but I don't feel frustrated for a lack of control at all and I'm very pleased with what I've done. The full interview will be broadcast on the show tomorrow ahead of the band's headline performance at Glastonbury.